The latest wave of arrest of Turkish academics, while a particularly dramatic attack on civil society, is ‘’part of a campaign that is going for years, " said Turkey specialist at St. Lawrence University and a nonresident senior fellow at the Project on Middle East Democracy Howard Eissenstat. Pointing out that we tend to hear less about the arrests of less prominent figures in Turkey, Eissenstat said Friday's arrests targeted "very prominent and internationally well-known ... Maggiori informazioni figures,’’ thereby receiving more coverage. What has happened, however, is what is Turkey’s new normal and an extension of what has been going on for years. 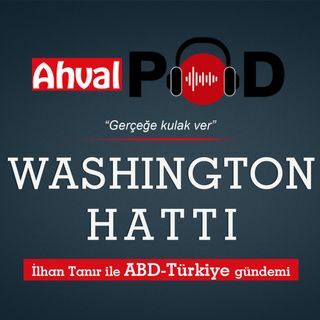 A frequent commentator for Western media and TV networks on Turkish affairs, Eissenstat spoke to Ahval's Ilhan Tanir for the Washington Line podcast program, highlighted that the "Narrative is that Gezi protests of an international conspiracy to overthrow the government are very much part of AKP discourse and many in AKP believe that. There is no actual evidence for this but certainly this is becoming an article of faith." In May 2013, a group of environmentally friendly activists stood up against the demolition of İstanbul’s Gezi Park, which was to be replaced by Ottoman barracks instead. The protests lasted for weeks and quickly spread to all other cities in Turkey with eight protestors killed. "There is a paranoid quality to authoritarian rule in general and to Erdogan rule in particular. He believes that there is a long history of leadership representing Milli irade (National Will) to be overthrown. He believes there is a projector since the Ottoman Sultan Abdulhamid II, then Adnan Menderes (prime minister 1950-1960), Turgut Ozal (1983-1993 prime minister and president) through himself. He sees Gezi in this context or certainly 2016 attempted coup in this context. He is always concerned that about the capacity nefarious powers supported by the West undermining his power," Eissenstat told Ahval. The government of Turkish President Recep Tayyip Erdoğan has been trying to mend ties with the European Union as well as the United State while simultaneously arresting civil society leaders. Turkey’s strongman’s policies, Eissenstat underlines, are inconsistent and this is understandable as state policies are often contradictory. Erdoğan believes "he can get away with (arresting prominent academics) and this is not a necessary wrong conclusion. In the end, he assesses correctly that Europe wants to maintain its ties with Turkey," according to Eissenstat, who maintains that Ankara’s attacks on human rights getting in the way and actually undermining both EU policy and Turkey's national interests. However, Erdogan "has done this consistently and fairly consistently he has done so with minor repercussions," he added. "Trump is sort of a deal maker that Erdogan would like him to be. They found areas of mutual interests, regardless of rules and statues. Trump is not particularly concerned about the rule of law, neither is Erdogan." Firstly, there could be "general inclination to renew ties with Turkey" on the part of Washington. Secondly, U.S. Pastor Andrew Brunson was released from Turkish custody a month ago and this move might be attempt to pay in kind. Finally, the Trump administration could have wanted to offer something to Erdoğan to make up for its lack of interest in making Saudi Arabia pay for murdering Washington Post journalist Jamal Khashoggi. All three of these motivations could be all true, according to Eissenstat, who added that despite the "Trump zone" s "extralegal inclination," the U.S. president appears to be "constrained with the rule of law and bureaucracy." When "the Department of Justice was told to do something that is fundamentally illegal, they pushed back hard and leaked it to the free press," thereby killing the deal, the Turkey expert noted.